Derrinstown Stud has announced that their young sire Arcano will be relocating to stand at Paolo Crespi’s Società Agricola di Besnate srl in Varese in 2016. 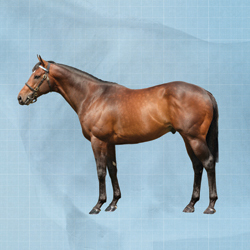 The son of Oasis Dream has done particularly well in Italy, being represented by the leading Two-Year-Olds Misterious Boy from his first crop, and by the smart dual winning and Stakes placed juvenile Arcan Boy in his second. As a result, he is sure to prove very popular with breeders in his new home.